All Things Bindle and the Federal Emergency Management Agency (FEMA) dish up a one-two punch to knock-out the cycle of pet abandonment as the U.S. heads into severe weather season. Here’s FEMA Deputy Administrator Rich Serino speaking about 2013 National Animal Disaster Preparedness Day in this 32-second video. 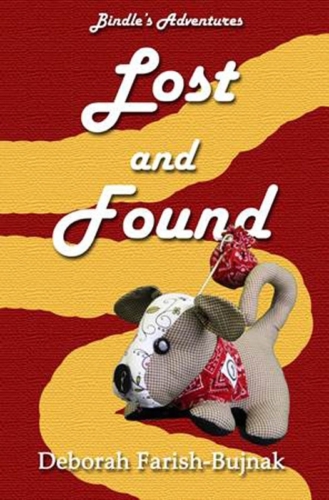 Bindle’s Adventures Lost and Found is the story of Bindle, a pup that accidentally gets separated from his family during a severe weather event. Endorsed by the Animal Protective Association of Missouri (APA) as a clever and charming way to teach kids about preparing to care for their animals in case of emergency, Bindle’s dogged determination and MacGyver-like resourcefulness is winning hearts and changing minds about preparing for pet safety and welfare in advance. To underscore the significance and help promote the importance of planning ahead for pet safety, the APA of Missouri will hosted a book signing the afternoon of May 8 with Deborah Farish-Bujnak, author of Lost and Found. The book signing was at the APA’s location at 1705 South Hanley Road, St. Louis, Missouri 63144, and all proceeds benefit the animal rescue efforts of the APA. All Things Bindle™ develops and markets innovative pet products that offer a unique pet safety preparedness campaign complete with a creative fundraising vehicle for the benefit of humane and rescue organizations across the country. A portion of sale proceeds is donated to a different local humane animal rescue group each month. All Things Bindle is 100% pawduced in the USA. Frankie’s Friends’ third annual fundraiser to benefit Tampa Bay area pets is scheduled to be held Oct. 18, at the Centro Asturiano de Tampa. The fundraiser, Frankie’s Friends Unleashed for Hope, benefits pets whose families would otherwise not be able to afford life-saving emergency or specialty treatment. In June, dentists from BluePearl Veterinary Partners are scheduled to participate in the second annual American Veterinary Dental College Service Dog Oral Healthcare Exam program. Free oral healthcare examinations will be provided by BluePearl’s board certified dentists for guide dogs, handicapped assistance dogs, working dogs, military dogs and search and rescue dogs. To ensure America’s service dogs are able to perform at peak efficiency, dentists will examine the dogs to look for signs of periodontal disease, fractured teeth, discolored teeth, oral masses and other oral and dental diseases that can cause pain or discomfort. If oral or dental abnormalities are found, a plan will be provided to the owner to determine if they would like to proceed with treatment. Owners and handlers of service animals who have been certified from a formal training program, or enrolled in a training program can register on-line between now and June 15, at the AVDC website: AVDC.org. Once registered, owners or handlers will receive a registration number and a list of participating veterinary dentists in their area whom they can contact to schedule an appointment. Times may vary and appointments are provided on a first-come, first-served basis. Dr. Gary Modrcin, a board certified specialist in veterinary dentistry and oral surgery with BluePearl, will be participating in the program at BluePearl Veterinary Partners specialty and emergency hospital located in Overland Park. About BluePearl Veterinary Partners Formed in 2008, BluePearl Veterinary Partners is headquartered in Tampa, Fla., and employs more than 1,200 people including approximately 250 veterinarians. BluePearl hospitals are referral-only and don’t provide primary care. Most BluePearl hospitals offer 24-hour emergency care services. BluePearl is one of the world’s principal providers of approved veterinary residency and internship educational programs. BluePearl also participates in and conducts clinical trials to study the effectiveness of new drugs and treatments, which give clients access to cutting-edge medicine not yet commercially available and improves the quality of care delivered to our patients. Sniffing is a major part of being a puppy, but it is important to look up once in awhile to avoid getting into trouble. In Trouble On The Trail, author Ielah Pratt tells the true story of three little Schnauzers who sniffed their way into adventure on their first trip to the mountains. The author was actually one of the people involved in this incident, but this time she decided to let the dogs tell the story. The narrative is based on an incident when Pratt was hiking through the mountains just west of Colorado Springs, Co. When she was separated from her dogs, she could not help but wonder what the poor little lost pups were thinking, and what they must have been going through as they navigated the vast and perilous expanses of the Colorado wilderness. Pratt thus decided to tell their side of the story, depicting their misadventures through their canine perspective, as it would be a good story for children. Trouble On The Trail is intended as pure entertainment, however, there are a couple of good examples of what one can do when one’s dog becomes lost, and maybe, how not to lose them in the first place. Trouble on the Trail is a young reader’s chapter book. Fourth graders should be able to read it easily to younger children, and adults can also find entertainment in the lighthearted narrative within its pages. Although Ielah Pratt grew up in Kansas, spent a few years in Minnesota and lived for 18 years in the Colorado Springs, Co. area, she now divides her time between the green of Iowa and the desert of Arizona. Aside fromTrouble On The Trail, Pratt has one other book available right now, Friends by Accident, a frontier adventure around the friendship between a pioneer boy and an Indian boy. It is available on Amazon and Barnes/Noble. Pratt’s third book, Nana, Read It Again, is just being sent to the publisher. It is a picture book for small children, comprised of three of the author’s favorite rhyming stories. The people and pets affected by the recent tornado in Moore, Oklahoma, are in the thoughts of everyone at the American Kennel Club and AKC Companion Animal Recovery. We have mobilized in the area, donating crates, bowls, leashes, pet microchips and scanners to help pets displaced by the storm. If you’re looking for a way to help pets affected by the storm, please consider donating to the AKC CAR Canine Support and Relief Fund. When people are displaced and go to a shelter for food and lodging, they need a place for their pets, too. That’s why the AKC CAR Canine Support & Relief Fund provides resources, support, funds, and other assistance to not-for-profit animal shelters and similar not-for-profit organizations providing care for pets orphaned or displaced as a result of natural or civil disasters. The fund also supports volunteer K9 Search and Rescue teams like those working on the ground in Moore. Funds raised will go to help pets displaced or affected by the tornado and support volunteer K9 search and rescue teams in this and other future disasters. Make a donation and tell others to visit www.OKCDogs.org to help! Thank you for your assistance. We’re proud to be to part of such a huge family of animal lovers willing to help others in times of need! Jennifer Bartolotta has been elected board president of the Wisconsin Humane Society (WHS), the largest and oldest animal shelter in the state. She succeeds Tony Enea, whose term as president has expired. Jennifer Bartolotta is a leader in the community, serving on a multitude of nonprofit and professional boards. Her roles include serving as board secretary of Schools That Can – Milwaukee; past president of TEMPO Milwaukee; former board chair at Meta House, a women’s treatment center for drug and alcohol abuse; 2011 honorary co-chair for the Susan G. Komen Race for the Cure, and much more. 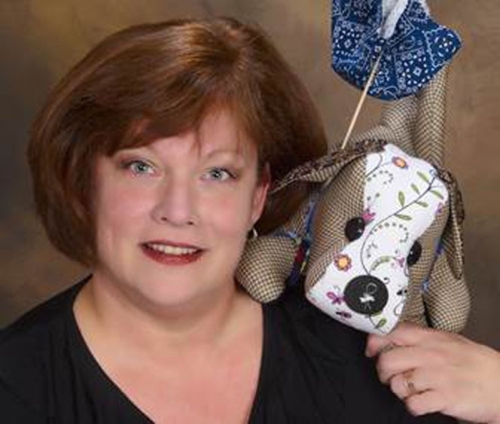 Jennifer is president and owner of Train-2-Gain, which develops professional socialization skills in employees. She also serves as director of Care-a-lottas, The Bartolotta Restaurants’ charitable foundation. Jennifer is married to Joe Bartolotta of the Bartolotta Restaurant Group and is the mother to four golden retrievers, Stella, Bubba, Sophie and Rufus. Enea will be continuing with the organization as vice-president of the board. Enea served as board president through the organization’s acquisition and closing of Puppy Haven Kennels, the largest puppy mill operation in the state; the passing of the former executive director, Victoria Wellens; the construction of the WHS Ozaukee Campus in Saukville; and the acquisition of Racine’s former Countryside Humane Society in January 2013. He is married and has three dogs, all WHS alumni. The Wisconsin Humane Society (WHS) is the oldest and largest animal shelter in Wisconsin. It was founded in 1879 and operates shelters in Milwaukee, Ozaukee and Racine Counties. The organization offers adoption services, educational programming, spay/neuter clinics for animals from low-income households, retail stores, volunteer programs and dog training classes. The Milwaukee shelter also houses the state’s largest Wildlife Rehabilitation Center. For more information, visit http://www.wihumane.org%3chttp/www.wihumane.org. The dog days of summer are getting an early start this season at The Iron Horse Hotel. The pet-friendly destination, known for catering to friends of two and four legs alike, is hosting a unique pet adoption and doggie social on Saturday, June 15, from 10 a.m. to 2 p.m. at the hotel. The event, co-sponsored by Stella & Chewy’s, a Milwaukee-based manufacturer and marketer of premium pet food, will welcome the Wisconsin Humane Society, Milwaukee Animal Rescue, Milwaukee Pets Alive and several additional animal welfare organizations — all of which will be onsite with their furriest adoptable friends, offering on-site adoption applications, education and advice. Stella & Chewy’s will offer freeze-dried pet food samples for tail-wagging guests, while doggie daycares, groomers, massage therapists, pet photographers and local veterinarians will be on-site to round out the experience. Local pet retailers have generously donated baskets to be raffled off throughout the event as well. Call 414.374.4766 or log onto http://www.theironhorsehotel.com/happenings/adoptmuttwaukee.html for details. Why: This unique event offers the opportunity to adopt a pet and/or bring your own furry friend for a doggie social. Local animal rescue organizations and their adoptable pets, representatives from Stella & Chewy’s premium pet food, and pet related businesses will be on hand to educate and entertain. The Iron Horse Hotel in downtown Milwaukee, Wisconsin was voted BLLA’s Boutique Hotel of the Year in 2010 and 2011; earned AAA’s Four Diamond Award the last four years; ranked on Condé Nast Traveler Magazine’s 2011 and 2012 Gold List of the top hotels in the world and has been the #1 hotel in Wisconsin on TripAdvisor since 2009. Stella & Chewy’s(S&C), America’s leader in freeze-dried and frozen foods for dogs and cats, offers a diet made with grass-fed beef, cage-free poultry and wild-caught fish, organic fruits and vegetables, probiotics, and vitamins and minerals. All S&C products are manufactured and freeze-dried at the Company’s 50,000 square-foot Milwaukee facility and can be found throughout the US at over 3,500 select independent pet retailers. Stella & Chewy’s has been recognized as one of the fastest growing companies nationally by Inc. Magazine and locally by the Milwaukee Business Journal, and was included in MMAC’s Council of Small Business Executive’s 2012 Future 50 List.